M'Hamid El Ghizlane (Arabic for 'plain of gazelles') is a small oasis town on the Wadi Draa in southern region of Morocco. With a population of about 7,500, this area lies just 500 meters above sea level and is just 24 km from the edge of the Sahara. Road N9 from Ouarzazate through Zagora will get you here. There are 7 uninhabited, decaying Ksars hidden in this palm oasis. 50 to 60 km away are the mystical sand dunes of Erg Chigaga. This is one of Morocco's 2 Saharan ergs, which are large dunes made by wind-blown sand. The local inhabitants are resourceful and have lived according to the principles of self-sufficiency for centuries. The absence of winter rains since the 1970's has made agriculture difficult and is now abandoned almost entirely. 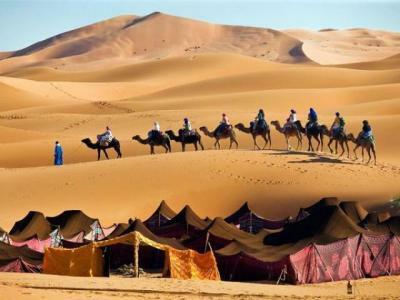 M'Hamid has always been a popular location for traveling nomads and caravans. 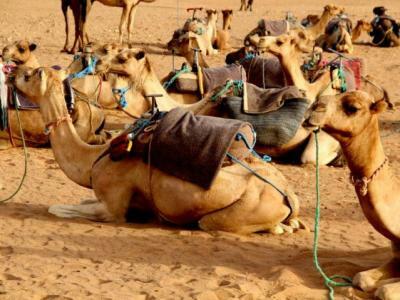 Today, it is the starting point for many camel trekking and 4x4 excursions into the desert. 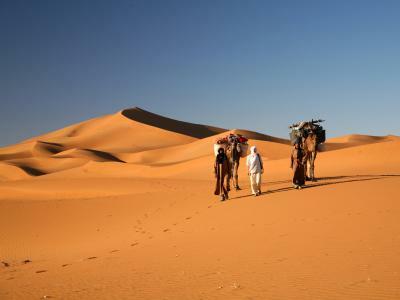 Navigating through Erg Chigaga will require you to come across some of Morocc's biggest sand dunes. 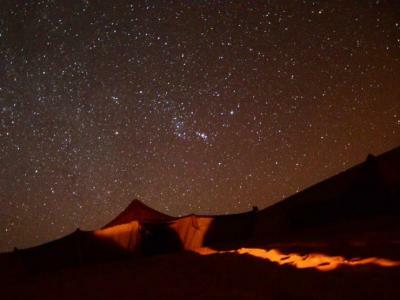 Surrounded by soaring red sand dunes will make you feel as far removed from Earth as Mars!